D.C.-born rapper Wale has backed out of an agreement to perform at D.C. Black Pride, after allegedly feeling uncomfortable with a gay event, reports the Washington Blade. Wale, a local artist with national recognition, had been scheduled to headline the May 30 festival at the Washington Convention Center. "Our headliner is very important to us, so often they are on the cover of the 'Metro Weekly' or the 'Washington Blade,' and they started pushing his people and he got cold feet and decided he didn't want to do it," said Earl Fowlkes, of Black Pride. 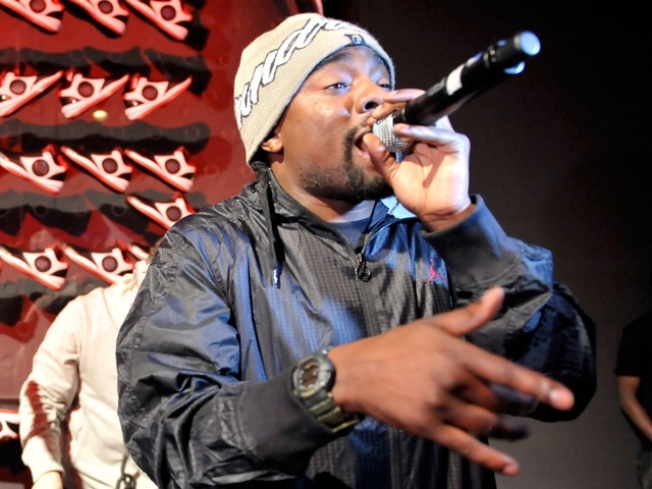 Did Wale Diss DC's Gay Community? Organizers of D.C.'s Black Pride event say hip-hop artist Wale's cancellation amounts to homophobia. Earl Fowlkes, a board member and spokesperson for Black Pride... said Black Pride organizers were startled this week when they received two e-mails from Wale’s agent, one saying the rapper had to cancel due to "family obligations," and the second saying he didn’t know Black Pride was a gay-related event when he agreed to appear. "Then we were told that we didn't give him the correct information, we mislead him, which is definitely not true," Fowlkes said. Organizers said they agreed to pay Wale $18,000 for a 45-minute performance, News4's Darcy Spencer reported. Wale's agent has refunded an advance fee, but Fowlkes said the group is considering legal action for breach of contract. Wale's agent didn't want to comment to Spencer but is quoted on several websites as saying Wale was mislead. Organizers called the cancellation an insult to the gay black community. "I don't want to accuse him of this but I believe that I would be remiss if I didn't say it was homophobia," Fowlkes said. Black Pride had wanted to book a black male artist for their 20th annual festival. The group has had many black female artists in the past, Fowlkes said. The festival has booked J Holiday as its new headliner. UPDATE: Several messages were posted on Wale's Twitter account about the alleged incidents, including this: "I'd perform anywhere but a kkk rally..lol as long as the ppl love the music." "I was told NOT to respond, but that wouldn't be me..anybody who knows me an familar w/ my music know that I work for PEOPLE..all ppl"
"And the people who deliver propaganda never heard the music yall know..they write it to ignite anger, cuz ur anger generates revenue"
"So with this said, HipHop music is for everybody..I love all the supporters, and real know real.."
"I didn't even know bout a show..I have done 48 shows this year..and I haven't booked one personally...ya smell me"
Wale also said on Twitter that he "didn't even know bout it. I wasn't even posed to be in dc till july."